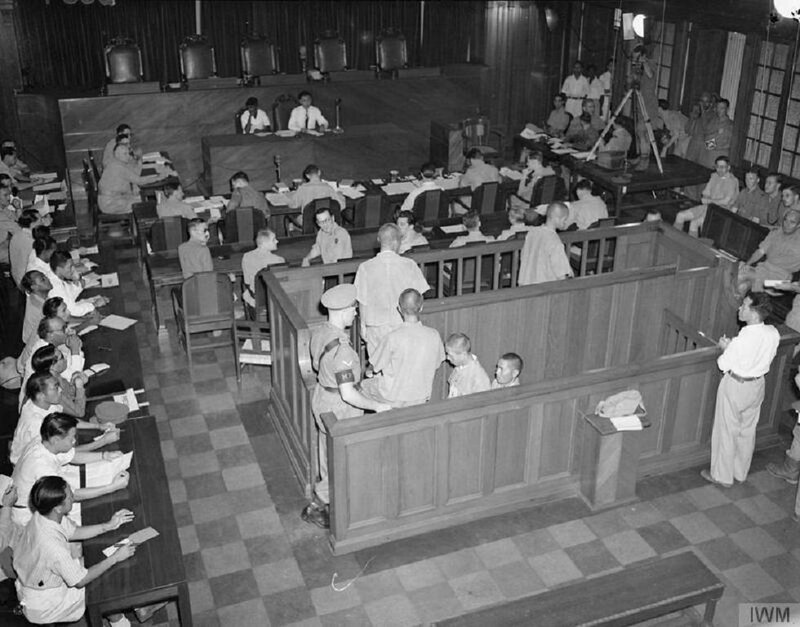 Indicted Japanese war criminals entering the dock in the Singapore Supreme Court, 1946. Image taken by Royal Air Force official photographer Vasey (Pilot Officer), courtesy of the Air Ministry Second World War Official Collection, Imperial War Museums. 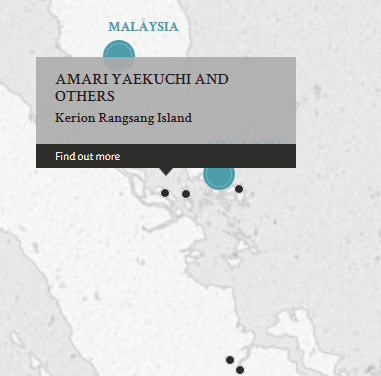 The defendants were part of a landing party that arrived at Kerion Rangsang Island on 19 August 1945, where at they fired and killed two Malay policemen. The defendants were apparently deserters from the Japanese Imperial Army and were afraid of being exposed and caught by the Kempeitai. Four out of five of the defendants were originally sentenced to death by hanging but received reduced sentences to 15 years' penal servitude. The one remaining defendant was found not guilty. Defendant Naotake Okuda had made fiscal donations to St. Joseph's Institution. He had an extensive list of local residents attesting to his good character and kindess in a petition to the Government of Singapore to plead leniency with regard to his sentence. Amari, Yaekuchi. Chief Petty Officer. From Japanese military. From Japan. Guilty. Death by hanging. Sentence commuted. 15 years' penal servitude. Okuda, Naotake. Civilian. From Singapore. Guilty. Death by hanging. Sentence commuted. 15 years' penal servitude. Isamo, Masayoshi. Civilian. From Japan. Guilty. Death by hanging. Sentence commuted. 15 years' penal servitude. Yoshii, Keisuke. Civilian. From Japan. Guilty. Death by hanging. Sentence commuted. 15 years' penal servitude. Blacklock, E. N. Lieutenant Colonel. From British military. Court president. Solicitor. Holland, E. L. Major. From British military. Hebden, E. N. Major. From British military. Southall, A. P. Major. From British military. Okubo, Hirotake. Criminal Court Judge, Japan. Everard, E.T. Captain. From British military.